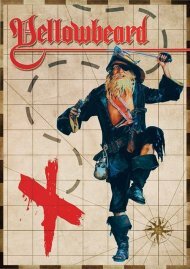 Having survived a 20-year incarceration for tax evasion, the notorious pirate Yellowbeard (Graham Chapman, Monty Python's Life of Brian) escapes to claim his hidden treasure after the Royal Navy imposes a bogus additional prison sentence. 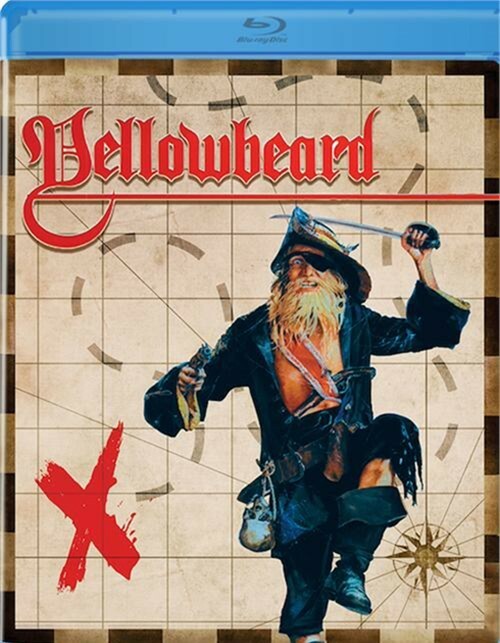 Gathering a crew of miscreants and ne're-do-wells (AKA his friend and companions), Yellowbeard sets out to locate the treasure map (which has been inexplicably tattooed on his son's head) and find the booty in this comic riff on the swashbuckler. 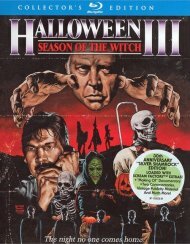 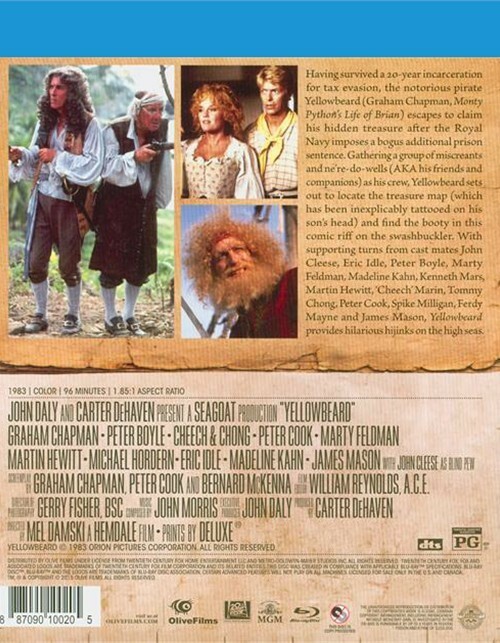 With supporting turns from cast mates John Cleese, Eric Idle, Peter Boyle, Marty Feldman, Madeline Kahn, Kenneth Mars, Martin Hewitt, 'Cheech' Marin, Tommy Chong, Peter Cook, Spike Milligan, Ferdy Mayne and James Mason, Yellowbeard provides hilarious hijinks on the high seas.